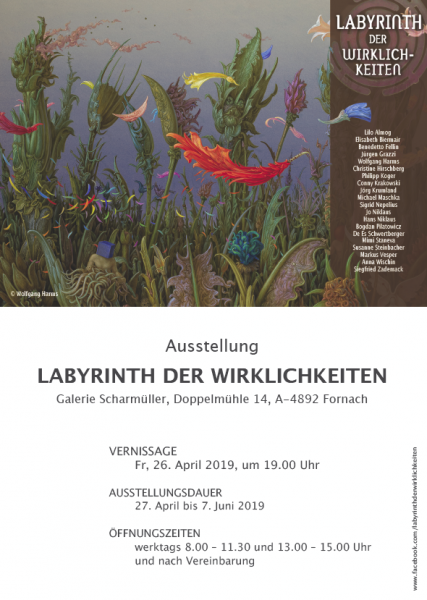 For the third time, Christine Hirschberg and I are jointly organizing the exhibition “Labyrinth of Realities”. We are pleased to be able to show many outstanding artists again this time. The spacious rooms of the Galerie Scharmüller in Fornach (AT) are perfect for the top-class works. We are looking forward to the vernissage with hopefully many guests!